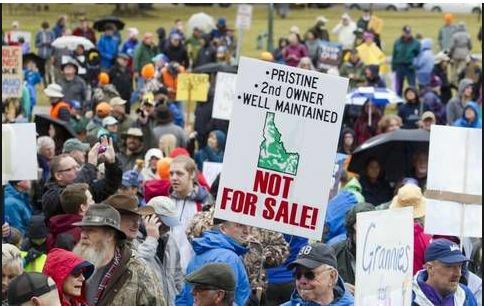 Idaho rally goers hope public lands stay in public hands! Sean Jones wasn’t planning on bringing his elk bugle call to the public lands rally at the Idaho statehouse on Saturday. 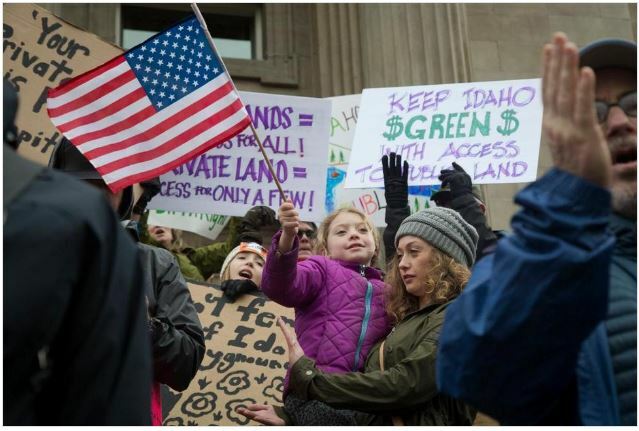 But its trumpeting sound rang out across Jefferson Street and the south steps of the capitol building in harmony with the raucous applause and cheers of the more than 2,000 Idahoans gathered in the chilly morning drizzle. Jones, like so many other outdoor lovers, was at the rally because he’s an avid hunter, rafter and hiker. Like he does on most outdoor adventures, he brought his gear bag, an elk antler strapped to the bungee cord on the back of the pack and the triumphant-sounding elk call conveniently at hand. Jones said he has emailed and called Idaho legislators to let them know he opposes the potential transfer of public lands to the state or private hands. He wasn’t impressed with their responses. How did the lawmakers respond?